with the kind support of the electronic music studios of the TU-Berlin. 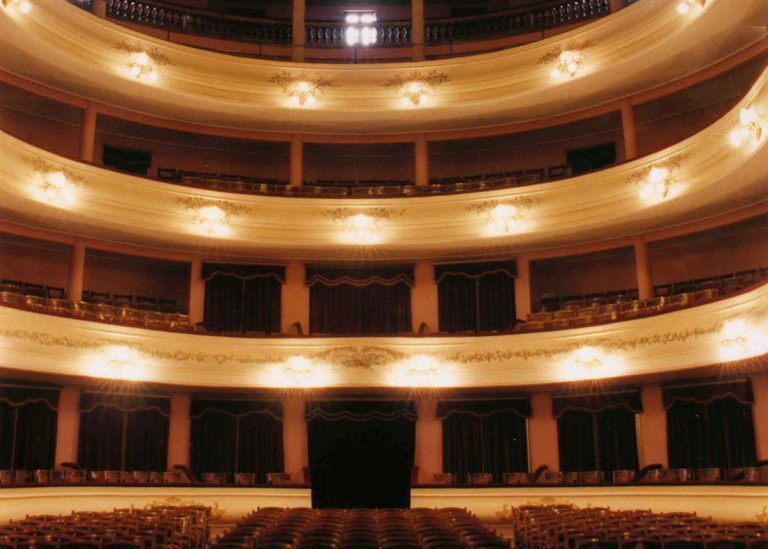 This piece is about the sounds and the “memories”of the Teatro Municipal Rafael de Aguiar in San Nicolás in Argentina (founded in 1908). I became interested in this theater because it still keeps some scenographic machinery and devices that have not been replaced since the old times. 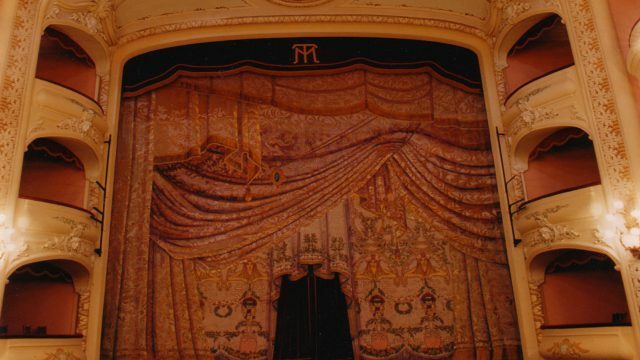 The recorded sound material includes sounds produced by objects and machinery of the theatre such as the ropes that rise the front curtain, old stalls seats, a spiral metal staircase, old parts of the wooden stage, the mechanics that put up and down the scenery, old creaking doors and old theatre machines for producing sound, light and wind as well as changing rooms and toilets. I also used sounds connected to the history and “memories” of this theatre: fragments of the opera Manon Lescaut recorded on a 1950´s vinyl; this was the first performace the theater “saw and heard” at the opening gala in 1908. This vinyl was played using an old LP player that was placed on the stage of the theater in order to add to the recording the reverberation produced by the acoustics of the theater. I also recorded actors reciting fragments of some theater plays that were realised in the theater. The actors were asked to stand in different places in the theater (stage, stalls, boxes). In addition, I used fragments of a 1963 magnetic tape containing a recording of a theater play with voices of actors that performed in this theater. I finally wrote a semi-notated-graphic score for the tuba player Robin Hayward, who had to improvise on sound materials according to basic parameters that were on the graphic score.